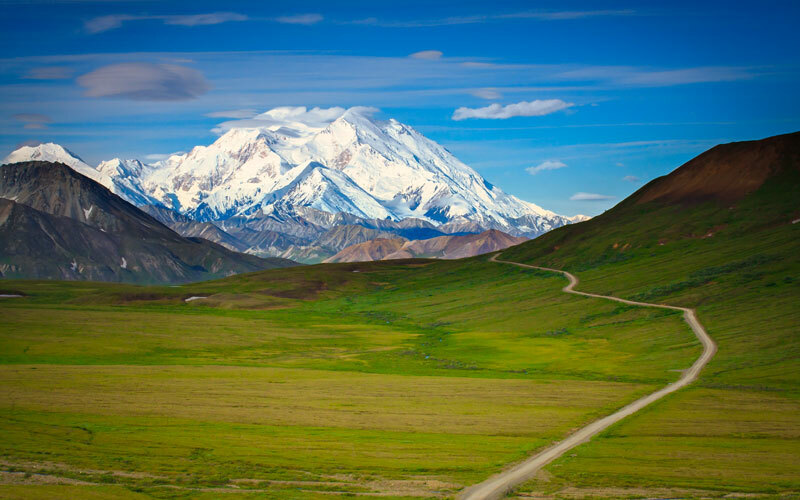 In mid-March every year, a crew of about a dozen National Park Service workers begins the long and important task of preparing Denali Park Road for the summer season. This 7-day-a-week job lasts many weeks, often extending into mid-May, and it involves plowing snow, ripping ice, and making road repairs to get the road in working condition. 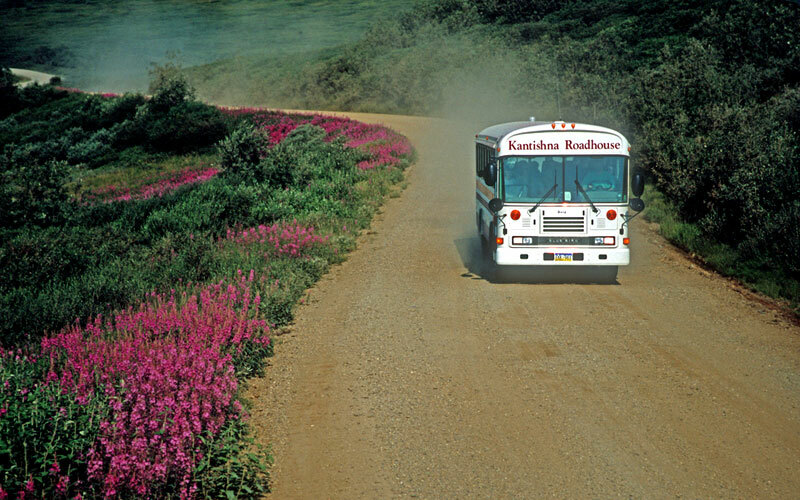 While the first 15 miles of Denali Park Road is two-lanes wide and paved with asphalt, every mile of road between 15 and 92 is unpaved. This makes maintaining the road especially important and more complex. Beyond mile 32, Denali Park Road narrows from 2 lanes to a single lane. From there it twists and turns through mountain passes, along rivers, and over streams and waterways. The process of clearing this road in the spring is quite a feat. The crew uses heavy equipment, a steam truck, a generator, and support vehicles to clear the road. Much of the process involves plowing snow and ripping ice from the road that’s accumulated during the winter months. Snow drifts, or large banks of snow heaped up from the wind, can accumulate on the road sometimes piling as tall as 20 feet high! A snow drift that deep may take an entire day to clear. Ripping ice from the road is even more difficult than plowing snow, and it’s a careful and slow process. The workers use bulldozers to rip through ice build up, and when the crew notices significant ice on the road, they weld ice cleats to the dozer tracks for traction. Bulldozer operators are trained to keep less than half of the vehicle on ice at all times. Techniques like this help keep the workers safe as their vehicles tear through the ice. In addition to clearing snow and ice, the workers also clear out any culverts along the road. Culverts are drains that run underneath the road. The crew injects steam into these culverts to thaw the ice and clear them for the spring season. When the snow pack starts to melt, these culverts play an important role in diverting water away from the road and preventing erosion. The road crew keeps a regular log of their progress, so you can see their current progress and the obstacles they encounter. These workers play a huge role in keeping the park open and safe for all of us to enjoy throughout the summer. If you make the trip out to Denali Park Road, think about how it looks every spring and winter when the crew sets forth on their many-week project of clearing a path.